If you are looking for reliable and cheap moving solutions in Crayford then our man and van company is the right answer for you. We have been working for more than 8 years in the field of home and office removals and we pride ourselves on offering expedient and affordable services. No matter what is the size of your DA1 domestic or business move, we can handle it with professionalism. Wide variety of additional services – you can hire a man and van to deliver your furniture, remove your rubbish after the spring cleaning or help you with the packing. Contact us today and get the best quote in the area of DA1 free of charge. Our professional man and van services are the easiest way to get your new furniture delivered anywhere in the area of DA1. 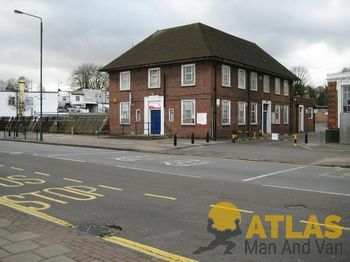 We will pick up your goods and transport them to your place in Crayford at any time that is convenient for you. Our experienced movers will handle with great care not only your new piano but also any flat packed furniture to be delivered. 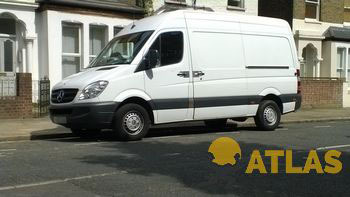 You don’t need to worry about the safety of your items because all our vans are fitted with the necessary moving equipment, such as belts, straps or safety blankets. Besides, there is an insurance coverage that applies to all goods in transit. Book your DA1 furniture delivery on a weekday – Monday to Friday – and get an even lower price. Crayford is a town in south-east London and is part of the London Borough of Bexley. The main means of transportation are by train – serviced by the Crayford railway station, and by bus – there are three Transport for London bus services. The place is well known for its greyhound racing track with Crayford Stadium being one of the three remaining stadiums to host such events. There are several pubs in the town to visit and listen to live pop/rock music.